There are many reasons to freeze asparagus. This is a vegetable with a short peak season, that taste best in season and the price in grocery stores skyrockets when the season is over. Frozen asparagus should be cooked from frozen, do not thaw it. It’s going to be softer than fresh asparagus, thus it’s best used as an ingredient in dishes like casserole, quiche or soup. 1) Pick spears in the morning. They should be 6-8 inches tall and thicker than a pen or pencil. If you’re buying your asparagus for freezing it should be ripe and ready to cook. 2) Prepare a pot of boiling water and an ice bath. 3) Snap off the bottom ends by holding the top and bottom and bending them until the stalk snaps. Throw the bottom part in your compost or the trash. 4) Rinse any dirt off it. 5) Drop the asparagus spears in the boiling water. Only boil one pound at a time. And use a timer! The times are based on the thickness of the stalk. 6) After the timer goes off, immediately put the asparagus into the ice bath. Set the timer for the same amount of time you boiled it for. Get the next batch in the boiling water and keep repeating if you’re preparing a bunch. 7) After it’s cooled let it dry on a clean towel or paper towel. You can pat it dry to speed up the process. 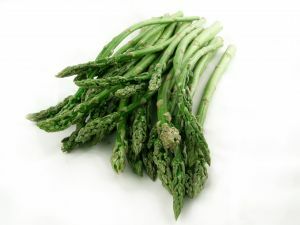 8) Leave the asparagus spears whole or cut it into pieces based on how you think you’ll eat it later. 9) Package the asparagus in usable sizes for your family in freezer bags and press out all the air. 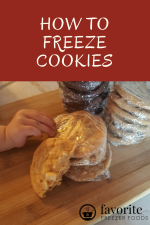 Label, date, freeze and add to your freezer inventory sheet. If you don’t know what portion you’ll be using you can also flash freeze the spears. Flash freezing means you freeze the individual pieces so they don’t stick together and you can take out as much or as little as you want later. 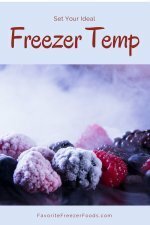 Learn more about frozen vegetables. Return from Freeze Asparagus to the homepage of your How to Freeze Food Guide.